Not to be confused with Marilyn Manson or Marlyn Mason. Alva is a city in and the county seat of Woods County, Oklahoma, United States, along the Salt Fork Arkansas River. The population was 4,945 at the 2010 census. Northwestern Oklahoma State University is located in Alva. 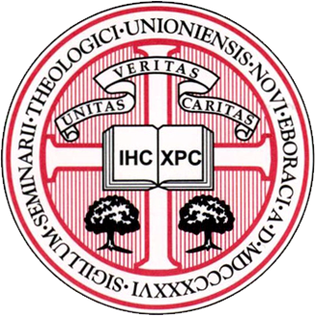 Union Theological Seminary in the City of New York is an independent, non-denominational, seminary grounded in the Christian tradition, located in New York City. It is the oldest independent seminary in the United States and has long been known as a bastion of progressive Christian scholarship, with a number of prominent thinkers among its faculty or alumni. It was founded in 1836 by members of the Presbyterian Church in the U.S.A., but was open to students of all denominations. In 1893, Union rescinded the right of the General Assembly of the Presbyterian Church to veto faculty appointments, thus becoming fully independent. In the 20th century, Union became a center of liberal Christianity. It served as the birthplace of the Black theology, womanist theology, and other theological movements. Union houses the Columbia University Burke Library, one of the largest theological libraries in the Western Hemisphere. The American Guild of Organists (AGO) is a national organization of academic, church, and concert organists in the U.S., headquartered in The Interchurch Center in New York City. Founded as both an educational and service organization, it was chartered by the Board of Regents of the University of the State of New York in 1896, with the authority to grant titles of associate or fellow to members who passed required examinations. Henry Houseley was a Founder of the American Guild of Organists, and Clifford Demarest played an important role in its first two decades. The Guild seeks to set and maintain high musical standards and to promote understanding and appreciation of all aspects of organ and choral music. The pipe organ is a musical instrument that produces sound by driving pressurized air through the organ pipes selected via a keyboard. Because each pipe produces a single pitch, the pipes are provided in sets called ranks, each of which has a common timbre and volume throughout the keyboard compass. Most organs have multiple ranks of pipes of differing timbre, pitch, and volume that the player can employ singly or in combination through the use of controls called stops. Some Organs can have up to 98 keys/pedals. Gottfried Silbermann was a German builder of keyboard instruments. He built harpsichords, clavichords, organs, and fortepianos; his modern reputation rests mainly on the latter two. Fort Lauderdale is a city in the U.S. state of Florida, 28 miles (45 km) north of Miami. It is the county seat of Broward County. As of the 2017 census, the city has an estimated population of 180,072. Fort Lauderdale is a principal city of the Miami metropolitan area, which was home to an estimated 6,158,824 people in 2017. Larry Teal is considered by many to be the father of American orchestral saxophone. 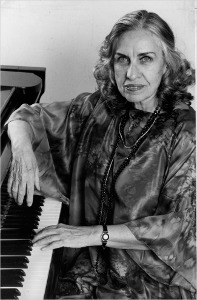 Jane Jarvis was an American jazz pianist. She was also known for her work as a composer, baseball stadium organist and music industry executive. William Hugh Albright was an American composer, pianist and organist. Joan Lippincott is an American concert organist and former head of the organ department at Westminster Choir College in Princeton, New Jersey. Gerre Edward Hancock was an American organist, improviser, and composer. Hancock was Professor of Organ and Sacred Music at the University of Texas at Austin. He died of cardiac arrest in Austin, Texas, on Saturday, January 21, 2012. David Craighead was a noted American organist. Frederick L. Swann is an American church and concert organist, recording artist, choral conductor, and former president of the American Guild of Organists. Music critic Tim Smith called Swann "one of the country's most distinguished organists". He is Organist Emeritus of the Crystal Cathedral and the First Congregational Church of Los Angeles. Dr. Evelyn Lim is the founding dean of the Singapore Chapter of the American Guild of Organists. She has been one of the main driving forces behind the renaissance of organ music, both sacred and secular, in Singapore. Chelsea Chen is an internationally renowned young American organist and composer. She has been successful in establishing a concert career in North America, Europe and Asia. She has composed several original compositions, and has adapted music ranging from major classical repertoire to video game soundtracks to Taiwanese folk songs for the organ and other instruments. John C. Walker, more familiarly known as John Walker, is an American concert organist, choirmaster, and CD recording artist. He is also a former president of the American Guild of Organists, elected in May 2014 to a two-year term of the 16,000-member organization. Walker has performed throughout the United States, Canada, Asia, and Europe. He is "widely recognized for his flawless technique and execution as well as his controlled and passionate playing," said Duke University in announcing a John Walker recital at Duke Chapel. Since 2006 he has served on the faculty of the Peabody Institute and George Mason University. Robert Ellison Glasgow was an American organist and music pedagogue. He taught at the University of Michigan for over 40 years and was an internationally respected performer. The American Quartette was a mixed vocal quartet of the chatauqua circuit in the 1920s, consisting of coloratura soprano Helen Bickerton, contralto Esther Muenstermann, lyric tenor B. Fred Wise, and baritone Raymund Koch under the direction of Edwin Stanley Seder. Sister Cecilia Clare Bocard, S.P., was an American musician and composer of works for organ, piano, and chorus. Kevin R. McMahon is an American conductor and composer. Roberta Bitgood (Wiersma) was an American organist, choir director, and composer. She was a pioneer of 20th-century American church music and the first woman to serve as national president of the American Guild of Organists. James Kibbie is an American concert organist, recording artist and pedagogue. He is Chair of the Organ Department at the University of Michigan. Diane Meredith Belcher is an American concert organist, teacher, and church musician. She has given a large number of solo recitals throughout the United States and abroad, is a teacher, and serves as Music Director at Saint Thomas Episcopal Church, and Lecturer in Music Theory & Organ at Dartmouth College, both in Hanover, New Hampshire. Her concert career is managed by Karen McFarlane Artists, Inc.
Cleveland Thomas Johnson is an American academic, administrator, music historian, and early-music performer. He has been the director of the National Music Museum in Vermillion, South Dakota since 2012. Previously, he was Executive Director of the Thomas J. Watson Fellowship, Dean of the School of Music at DePauw University, Professor of Music at DePauw University (1985-2012), and Music Librarian at Old Dominion University. DePauw University awarded him the title, Professor Emeritus of Music, in 2012. Martin Welzel is a German organist, musicologist, and pedagogue. ↑ Gotwals, Vernon (2001). "Mason, Marilyn". In Sadie, Stanley. New Grove Dictionary of Music and Musicians (2nd ed.). Macmillan. ↑ Carlyn, Marilou. "Music professor retires after record-breaking 67 years." The University Record. May 19, 2014. Accessed August 18, 2018. ↑ "Marilyn Mason: 1988 International Performer of the Year". New York City Chapter of the American Guild of Organists. Retrieved March 3, 2014. ↑ Pepple, Steve (September 17, 2007). "Music Professor's Career Spans 6 Decades". Ann Arbor News . Retrieved March 3, 2014. ↑ "Organs at Michigan: The Marilyn Mason Organ". University of Michigan. Retrieved March 4, 2014. ↑ School of Music. "Marilyn Mason". University of Michigan. Retrieved March 3, 2014. ↑ "A Life's Harmony: University of Michigan Organist Marilyn Mason". University of Michigan News Service. Retrieved March 3, 2014– via YouTube. ↑ Carlin, Marilou. "Music professor retires after record-breaking 67 years". The University Record. The University of Michigan. Retrieved May 19, 2014. ↑ School of Music. "Teacher of Music, Teacher of Life". University of Michigan. Retrieved March 3, 2014. ↑ Sullivan, Maureen (October 18, 2007). "60 Years Behind the Keys". Michigan Daily. University of Michigan, Ann Arbor. Retrieved March 3, 2014. ↑ "Marilyn Mason Obituary". Ann Arbor News. Retrieved April 5, 2019.